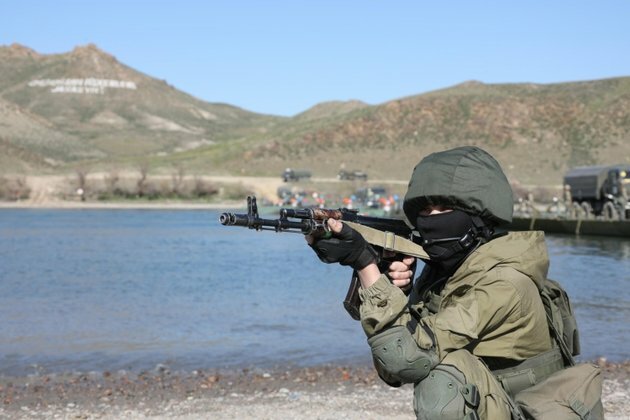 The upper house of parliament on April 11 approved the transfer of equipment, ammunition, air weapons, artillery and protective gear against radiation and biological weapons. The transfer is subject to final approval by the president. An agreement on one-time military assistance was signed in December, Tengri News website reported. Deputy Defense Minister Talgat Mukhtarov assured lawmakers that the reallocation of military materiel would not degrade Kazakhstans defense capabilities. He also said Kazakhstan would bear the cost of delivering military equipment by rail to Dushanbe. Tajikistan will be responsible for customs clearance and has offered guarantees that none of the equipment will be reassigned to a third party, Mukhtarov said. The situation on the border between Tajikistan and Afghanistan is deteriorating every day terrorists are trying to smuggle large quantities of drugs, said Talgat Musabayev, a member of the upper house. Officials across the former Soviet space have for months and years been vocally expressing their anxieties about the potential risk of unrest in Afghanistan spilling over into their region of interest. Particular worry has been evinced by the possibility of militants driven out of Syria and Iraq seeking to relocate to areas near Central Asia. Although armies in the region do not typically provide public information about their specific defense capabilities, security experts tend to agree that Tajikistan has perhaps among the least prepared military forces in Central Asia. Tajikistan implicitly relies for security guarantees on Russia and is a member of the Moscow-led Collective Security Treaty Organization, a post-Soviet analogue of NATO. Kazakhstan is also a member of the bloc. Kazakhstan and Tajikistan also share membership in the Shanghai Cooperation Organization, a multilateral organization with an antiterrorist and anti-drug trafficking component. That body includes China, Russia, India and Pakistan among its members.